October 12, 2012 - The FAA’s Office of Airports recently updated the Airport Design Advisory Circular (AC) 150/5300-13A, the first major rewrite of the AC in more than 20 years. This AC is critical to the aviation industry because it outlines the standards and recommendations used for the development of airport layout plans and airport construction projects. 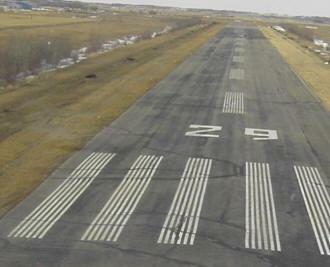 The AC, used by airport operators, airport planners and engineers, gives the geometric layout and engineering design requirements for runways, taxiways, aprons, and other airport facilities. The AC is the result of collaboration between the FAA and the aviation industry. The FAA held webinars, workshops, and spoke at conferences to make sure airport consultants, airport sponsors, aviation associations, and aircraft manufacturers had input into the revised AC. Existing airports will be required to meet the new standards. It may not, however, be feasible to meet all current standards at existing airports, and in the case of federal assistance programs, funding of improvements may be subject to FAA criteria. In those cases, consultation with the appropriate offices of the FAA Office of Airports and Flight Standards Service will identify any applicable FAA funding criteria and/or adjustments to operational procedures necessary to accommodate operations to the maximum extent while maintaining an acceptable level of safety. For non-standard conditions associated with such projects, the FAA may consider alternative means of ensuring an acceptable level of safety. For further information regarding a modification of standards, refer to Order 5300.1, Modification to Agency Airport Design, Construction, and Equipment Standards. New airports must me these standards and recommendations represent the most effective national approach for meeting the long-term aviation demand in a manner that is consistent with national policy. Safety is the highest priority. The airport design standards in this AC are intended to identify the design elements needed to maintain safety and efficiency according to national policy (Airport Design Advisory Circular, AC No: AC 150/5300-13A).